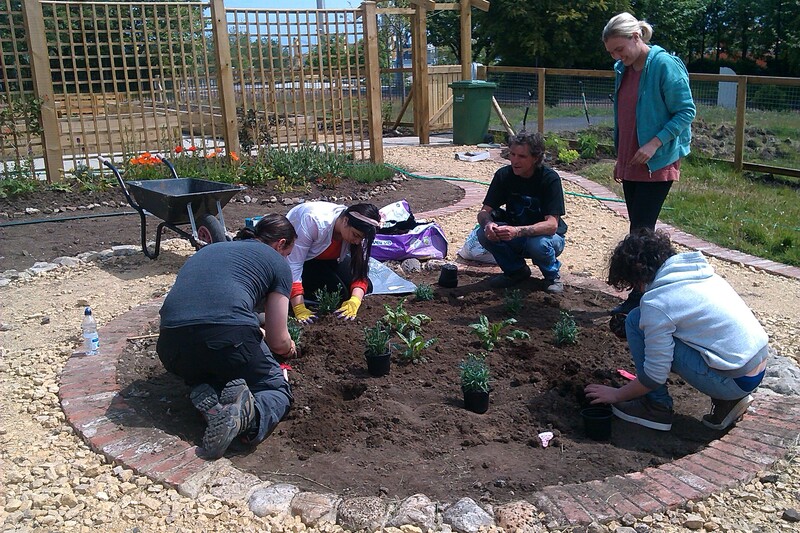 A Community Garden in Sunderland on the site of the 7th Century Monastery of Monkwearmouth. The garden draws inspiration from its sites heritage and includes a kitchen garden, a herb garden, a quite garden, fruit trees and bushes and we also keep honey bees. The garden is run by volunteers and has a strong community aspect and welcomes all who want to help. The site is at the back of St Peters Church. The 700 Connect Bus has a stop opposite our garden. Using the Metro use the St Peters station and walk towards to the church and university campus.